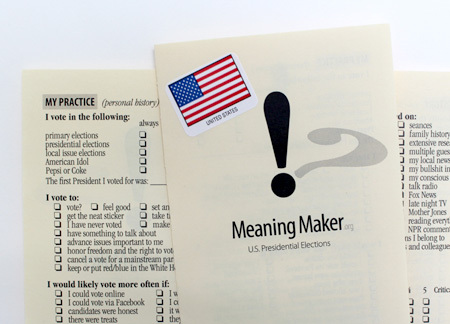 Meaning Maker American Citizenship Edition is included in the exhibition The Mythical State of Jefferson, May 6 to June 12 at the Schneider Museum of Art. The Museum is on the Southern Oregon University Campus in Ashland, Oregon. The exhibition addresses a 1941 movement to create a new state, out of parts of Northern California and Southern Oregon, for the purpose of copper mining .